Connemara marble is a beautiful stone only found in County Galway in western Ireland. The name Connemara means “of the sea”. Connemara marble was trading much like currency by the prehistoric inhabitants of the area. Today, it is a treasure for you! This rectangular pendant has been accentuated with angled sides. The deep green Connemara marble is wrapped in a Sterling Silver bezel that is set off with a Trinity Knot on top. 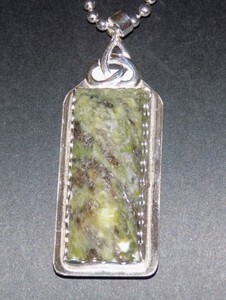 This pendant is accompanied by an 18″ beaded Sterling Silver chain. $115.00 including free shipping within the US. 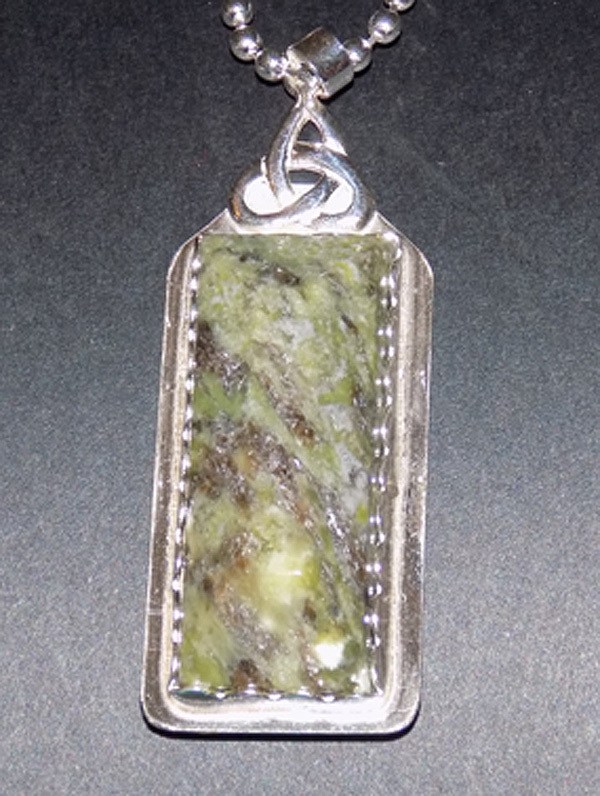 This Connemara Pendant in Sterling Silver is approximately 2 1/4″ tall, including bail and 3/4″ wide.